2. 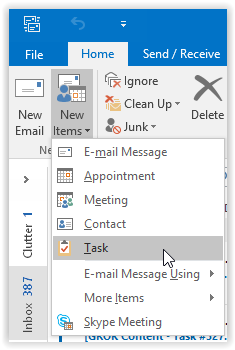 Click the New Items drop down arrow in the top left corner of the screen and select Task. 3. Enter the Subject, Start/Due dates, and any other wanted information, then click Save & Close in the top left corner of the screen. 4. 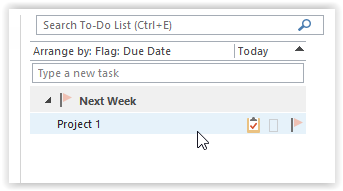 To edit or update the task, click the Clipboard icon in the bottom left corner of the screen. 5. Select the task you would like to update by double-clicking on it. 6. Edit or add any information you would like, then click Save & Close in the top left corner of the screen.